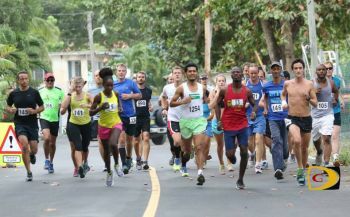 The first race of the 5-race series will take runners on the City Circuit, a tour of Road Town. The race will start and finish on the Mondo track of the AO Shirley Recreation Grounds. Short distance runners can make a series but are not eligible for overall awards. The races start at 6.30am prompt and Reddy is encouraging athletes to arrive early to register from 6.00am and warm up. The defending champions of the Ceres 10K Series are Reuben J. A. Stoby and Rosmond Johnson. Best 3 races comprise a series and awards will be given for the top 3 male and female overall and for all series finishers. Can't improve on rasta's comments. Perfect.